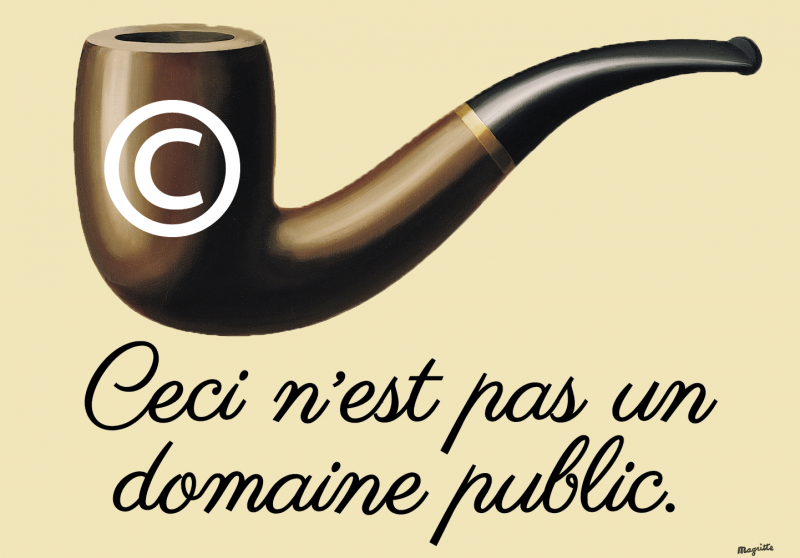 A Welcome to Public Domain Day by Duke's Law School; What is Entering Public Domain in the USt? Not a Single Published Work. 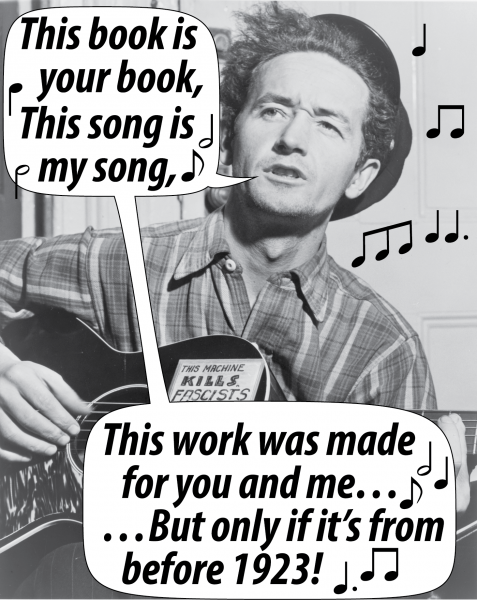 Is "This Land Is Your Land" in the public domain? It's complicated, and there's a pending lawsuit on the subject—you can read more about it here. When the first copyright law was written in the United States, copyright lasted 14 years, renewable for another 14 years if the author wished. Jefferson or Madison could look at the books written by their contemporaries and confidently expect them to be in the public domain within a decade or two. Now? In the United States, as in much of the world, copyright lasts for the author’s lifetime, plus another 70 years. You might think, therefore, that works whose authors died in 1947 would be freely available on January 1, 2018. Sadly, no. When Congress changed the law, it applied the term extension retrospectively to existing works, and gave all in-copyright works published between 1923 and 1977 a term of 95 years. The result? None of those works will enter the public domain until 2019, and works from 1961, whose arrival we might otherwise be expecting January 1, 2018, will not enter the public domain until 2057. In addition to lengthening the term, Congress also changed the law so that every creative work is automatically copyrighted, even if the author does nothing. What do these laws mean to you? As you can read in our analysis here, they impose great (and in many cases unnecessary) costs on creativity, on libraries and archives, on education and on scholarship. More broadly, they impose costs on our collective culture. We have little reason to celebrate on Public Domain Day because our public domain has been shrinking, not growing.